1. Marketing doesn’t have to be a pain. Marketing can be viewed as a necessary evil or as self-nurture. Marketing doesn’t have to hurt. Learn to love marketing and networking, and you’ll reap the rewards. 2. You don’t have to be outgoing to succeed as a consultant. Shy? You can still build a business network even as an introvert. In fact, introverts bring special skills to their businesses. Learn to leverage your personality – be it an introverted or extroverted one. 3. Firing your clients is an option. Not being treated with the respect you deserve? Is your client an annoyance or a money pit? As a consultant, firing your clients is always an option! 4. How to set consultant rates. Setting consulting rates is one of the most important elements of your business. 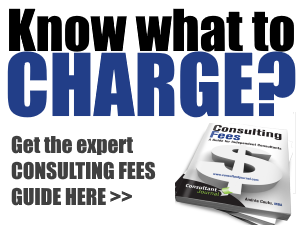 Find out everything you need to know about setting consulting fee rates right here. 5. Sometimes saying no can be the best decision you’ve ever made. Every time you say yes to one thing you’re in effect saying no to something else as a result. Do you want to be a specialist or do you want to be a generalist? Should you "do windows"? 6. How to build your expert status. Consultants get hired for their expertise. Here are some excellent tips on how to build your expert status–even if you’re not the world’s leading expert in your industry. 7. What to do when a client doesn’t pay. It’s bound to happen eventually. Do you know what to do when a client doesn’t pay? Here is an outline of the steps you should take when a consulting client doesn’t pay. 8. Consulting rules: From work-life balance to choosing your own co-workers and clients, here are 8 reasons why consulting rules. Business plans for consultants – Are you considering starting your own consulting practice or repositioning your current consulting business? Have you put pen to paper (or fingers to keyboard) and started outlining your consulting practice in a business plan? If not, this article will help you structure your consultant business plan. 2. Help you obtain financing. If you require any financing your lender will require a solid business plan before lending you money or establishing a business line of credit. 3. Clarify your business needs. What kind of advertising will you do? How much money do you think you’ll make in the first and second years? Business plans for consultants will provide you with the answers you need to start planning your consultancy. 4. Provide a framework for developing your business. Consultant business plans are roadmaps for you to follow. 5. Increase your chance of success. The time that you put into developing your business plan will pay off in the end. By fully researching your future consultancy business, you will be better prepared for any eventuality. Are business plans for consultants different from other business plans? Yes and no. The general format of business plans for consultants follow a normal business plan outline. Here’s a simple business plan template to get the ball rolling. However, business plans for consultants also require some specialized sections. Are you putting together a business plan for consultants? To fast-track the completion of your business plan and to ensure you use accurate numbers, check out our guides, workbooks and courses in the Consultant Journal store, including the invaluable guide on consulting fees: Consulting Fees: A Guide for Independent Consultants. You may also want to consider taking small business training to ensure that all your bases are covered. Business plans for consultants provide a detailed map of future business, reducing your risk of losing track of your goals. By following this map, you greatly increase your chances of success. As long as you’ve done your research, and taken the time to really plot your course, your business plan will be one of the best time investments that you can make. Putting together a business plan can feel overwhelming, but it doesn’t have to be. Don’t get hung up on the format or the end result. In fact, it’s not even the end result that is important. Rather, it’s the process of putting a business plan together that is the truly important step! This is because by going through the steps of putting together a business plan you are forced to sit down and answer the tough questions about your business, such as "How will I differentiate myself from the competition? ", "How much will I charge? ", and "What will be my marketing strategy?" 1. Set aside some time to put together your business plan. Putting together a business plan starts with setting aside time to do it. If you are busy, particularly if you are working another full-time job, it can be difficult to squeeze in the time. Our tendency is to put off work that feels a little scary and out of our comfort zones, like putting together a business plan. Often it’s merely the thought of putting together a business plan that feels scary, but once you get into it it’s really as simple as answering a survey and then crunching a few numbers. So don’t let fear put you off. Schedule a few three-hour chunks into your agenda to work on putting together a business plan. And when the time to put together your business plan rolls around, don’t procrastinate. Get to work! 2. Find a business plan template that you can use as a guideline. Putting together a business plan is much easier if you can use a template or boiler plate as a guideline. When putting together a business plan the idea isn’t to copy your template exactly. Rather, use the template as a jumping off point. Feel free to add or remove any sections as necessary. To help you put together your business plan, here’s a bare-bones consulting business plan template to get you started. 3. Start putting together a business plan. Putting together a business plan is as easy as sitting at your computer, putting your thinking cap on and starting to type. When you run into questions or sections that you don’t know the answers to, start doing a little bit of research. However, it’s most effective for you to work on the business plan yourself and only ask for assistance on very specific questions that you are unable to answer. Often there are community business organizations that will help point you in the right direction to resources and potential contacts who will help you complete the gaps in your business plan. Enlisting help and feedback from someone who is already doing the work that you plan to do is one of the best ways to approach putting together the difficult parts of your business plan. Are you putting together a business plan? There are a number of resources that will help you hone in on your business in the Consultant Journal store, including an excellent guide to helping you set your rates to ensure your success. 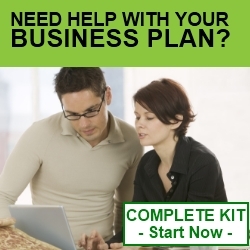 Start putting your business plan together today. What is consulting? Consulting is a career choice that offers professional or specialized advice to individuals and businesses for a fee. As a consultant, you will likely work freelance, although some consultants are employed by large corporations. A consultant may have one specialty or many. You may choose consulting as a full-time career or as a second job that provides extra income. Consulting doesn’t have to be technical or complicated, nor does it necessarily require a diploma or a degree. All it requires is that you, the consultant, possess the specialized knowledge required to educate your client or perform the required services. For example, you might offer personal consulting services. Personal consultants offer expert advice to individuals on topics like party planning, life coaching, dog obedience or home decorating. Technical consultants provide advice on topics like home security, internet security, networking, and social media. Professional consultants are usually specially trained or educated with experience in their field. As a professional consultant, you would provide advice on more complex topics like human resources, finances and taxation, business management and insurance. Executive consulting is consulting at its most professional level. It provides advice on subjects like law and medicine. To consult in such fields, you must possess a high level of education, as well as extensive experience. However, not all consulting requires such specialization. What do clients want from consulting services? Clients hire a consultant to improve either themselves or their business. Consultants can help facilitate personal and professional growth, save their clients’ money, and increase efficiency in their clients’ lives or businesses. Consultants provide clients with information that they don’t already know, and that they don’t have immediate access to. As a professional consultant, you should leave the client satisfied with your services and better off than they were before. 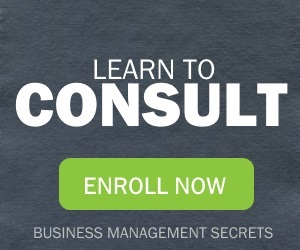 What is consulting going to do for you? Consulting is an excellent career choice if you are motivated, enjoy working with people, and prefer to work independently. You can set your own pace and your own hours. It is also an excellent way to network with clients and other professionals. The outlook for consulting is excellent. As long as there are individuals, professionals, and companies seeking to improve themselves, their lives and their businesses, there will be a need for consulting services. Skilled consultants who provide useful advice will always be in demand. Are you interested in becoming a consultant? Check out the Becoming a Consultant FAQs. Consulting business plan template – An outline of the main sections that you should have in your consulting company business plan. Write Your Business Plan Now – Our complete, all-in-one kit that draws from the actual materials I use to help clients with their own business plans. Consultancy – Have you always wanted to start your own consultancy? Not sure where to start? The good news is that starting a consultancy can be as easy as choosing a specialization, building your expertise, setting your rates, and finding your first client. In fact, depending on the type of consultant you are to become, there are very few rules governing most consulting industries so the time it takes to go from zero to having your own consultancy is shorter than you think. In general, the more specific your consultancy is the easier it will be to make a name for yourself and identify potential clients. If you are unsure of what type of consultancy you should start, consider working through a guide or workbook that is designed to help you hone in on the perfect consultancy for you. Setting rates is both an art and a science. Learn more about setting the right rates in this comprehensive article on setting fees or for the fast-track, inside scoop get Consulting Fees: A Guide for Independent Consultants. In order to start a consultancy you’ll need to be considered an expert in your industry. But don’t worry, that doesn’t necessarily mean that you need to have a graduate degree or even decades of experience. In fact, in order to start your consultancy you really just need more expertise than your clients have. Find out more about building your expertise here. Marketing and networking are key to building up your consultancy. But don’t worry, you don’t have to be a master socializer to succeed in marketing your consultancy. In fact, even if you’re introverted you can still succeed in networking on behalf of your consultancy. Are you interested in starting your own consultancy but don’t know where to start? Check out the Consultant Journal store for a variety of resources, books and courses that will help you kick-start your journey to starting your own consultancy. Consultant Journal is featured in Entrepreneur as part of a story on launching a consulting firm. 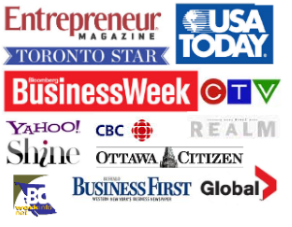 Being featured in Entrepreneur feels like I’ve come full circle* in my business. You see, when I was still in college, I dreamed about starting a business. I’d go to the library, read business mags, and scribble business plans on the backs of my notebooks. Later, when I moved East to work for the federal government, I’d go to the library at night, read more business books, and leaf through tattered copies of Entrepreneur. I think I read through the entire backlist during my time there. By the end of that summer, I’d landed my first contract, despite still being a university student. So actually ending up in Entrepreneur is, well — this is trite, but it’s true — the stuff dreams are made of. It just goes to show that you can take steps to increase your expert status over time. How about you? 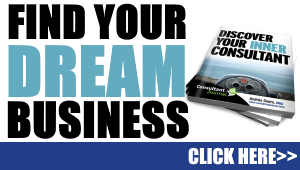 What business dreams do you have? What do you want from your life? *Okay, not entirely full circle. I’d still like to be on the front page for the $1B IPO. I admit it. But then where would my work-life balance be? Many people write to ask where they can find a consulting business plan template. Well, here’s a free outline of a consulting business plan template. It’s just an outline, though – see here for my full business plan kit, which includes the actual materials I use to help clients with their business plans. Having run a business and marketing consulting firm for the past 14 years, I’ve written countless business plans. Every last one of them counts, though. While I’m not someone who would ever tell you that you must follow your business plan to the letter – it’s a roadmap, not a jail term – I do believe that having a good sense of direction for your business is important. For most people, the process involved in developing a business plan is actually more important than the output. All the work and thought involved in figuring out where you’re headed is what will really drive your business. With that in mind, if you are looking for a consulting business plan template, you want one that is easy to customize around your own business. Otherwise, if you follow a pre-written, off-the-shelf plan, how will you stand out from the competition? Your business plan, while following a prescribed template, should help create a business that is unique, sustainable and achievable. In the meantime, it’s still okay to start exploring the kind of business you want to start, the marketing you want to do and the fees you want to set. You can start on your business while working on your business plan, if you want.